It's that time of year again! My friend asked me to make a card for her daughter who is graduating from the Faculty of Education at St Francis Xavier. I used the idea of half-inlaying the die cut sentiment from this card by Maile Belles as my inspiration, but used only school colours. I used the new Papertrey Super Smoosh congratulations die. Since the colours are only blue and white (bo-ring!) I added Stickles to the sentiment for a little sparkle. I stamped the inside with some pale grey stars and a sentiment "So proud of you today". Absolutely brilliant Ardyth. Love it. Perfect for a graduation card. Love the extra touch of sparkle! Perfect Ardyth. I have a graduation coming up that is only blue and white too. lol Might have to try and CASE your card Ardyth, but put the school's mascot on it maybe. It is fabulous! Love this design. And, not boring at all! Love your card...and those sparkles, fabulous! Love the white-on-white 2015! This is such a cool technique (I headed straight over to Maile's blog to check out her card). 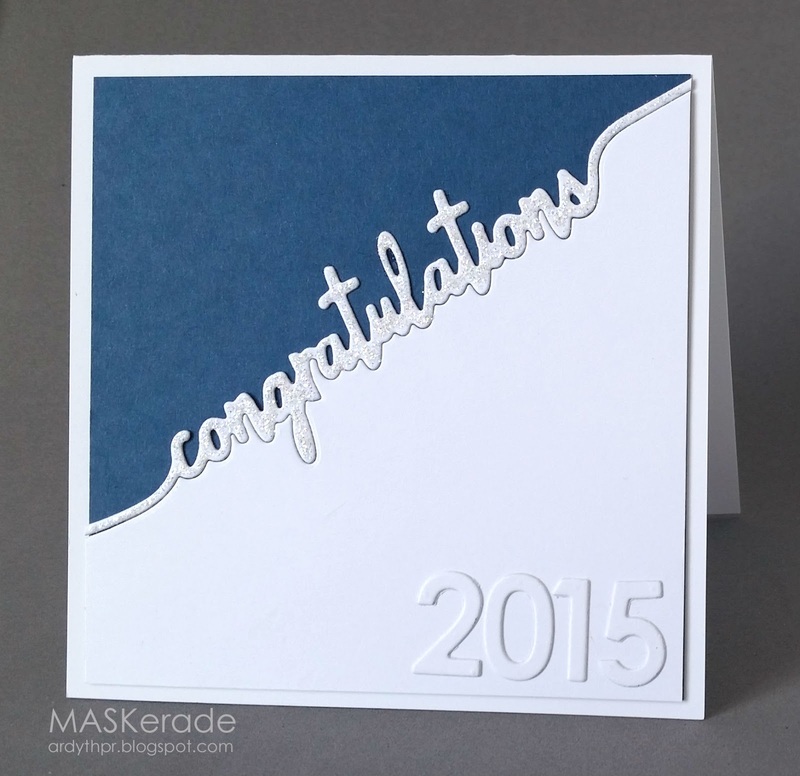 Yep - great call on the Stickles - perfect finishing touch for a celebratory card!